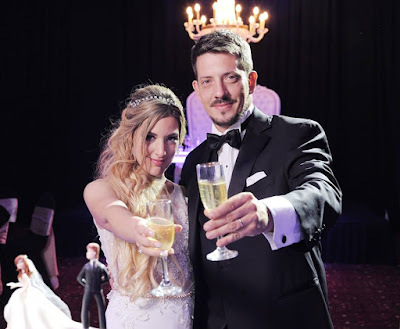 Jose Ignacio Bergoglio and Marina Muro finally tied the knot with a civil marriage! Followed by a church marriage. Shown here at the reception. 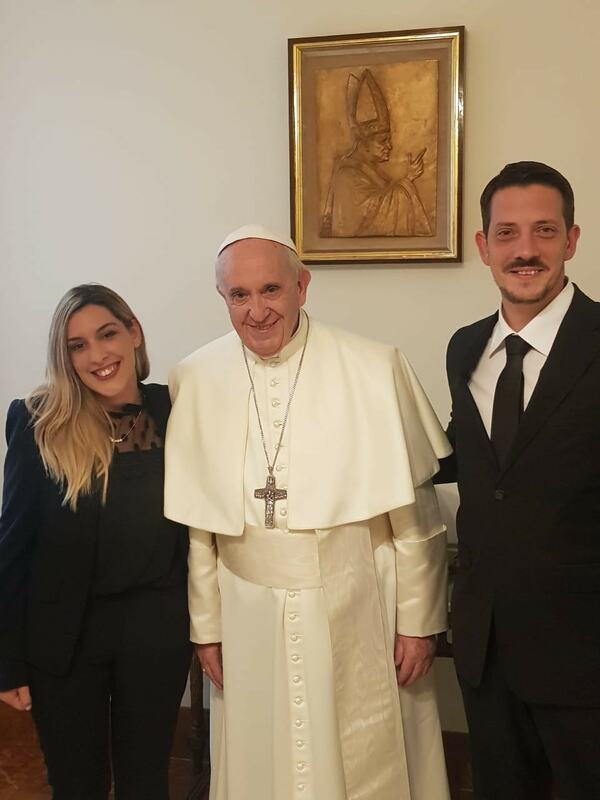 The happy couple visits Francis on their honeymoon. 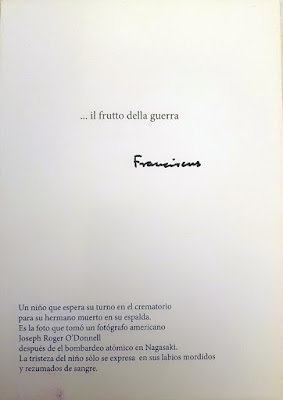 “It was 3:45 p.m. we were in a small room in [Casa] Santa Marta waiting for who I call, ‘Francis’ and José calls, ‘Uncle Jorge’. We had an appointment at 4:00 p.m. to see him, the last time we saw him face to face was in Paraguay in 2015. We have not seen him for 4 years! I was super nervous as if I were going to see the most important Head of State, the greatest world leader in history and José was the relaxed one who is going to see a very dear, close person. “No, for putting up with my nephew.” He joked. From there my nerves vanished and I realized that I was facing a world leader, but a humble leader, who treats you as an equal, a true shepherd with the smell of sheep. There I understood why many still call him “Jorge”. They still call him Father Jorge because power does not change him, because he is humble with a big heart. *CMJ Note: Haciendo Lio is the name of the NGO that his nephew founded and runs in Argentina. The name, ‘Haciendo Lio’ is taken from Francis’ advice to attendees at Rio World Youth Day 2013 to go back to their dioceses and “make a mess”. 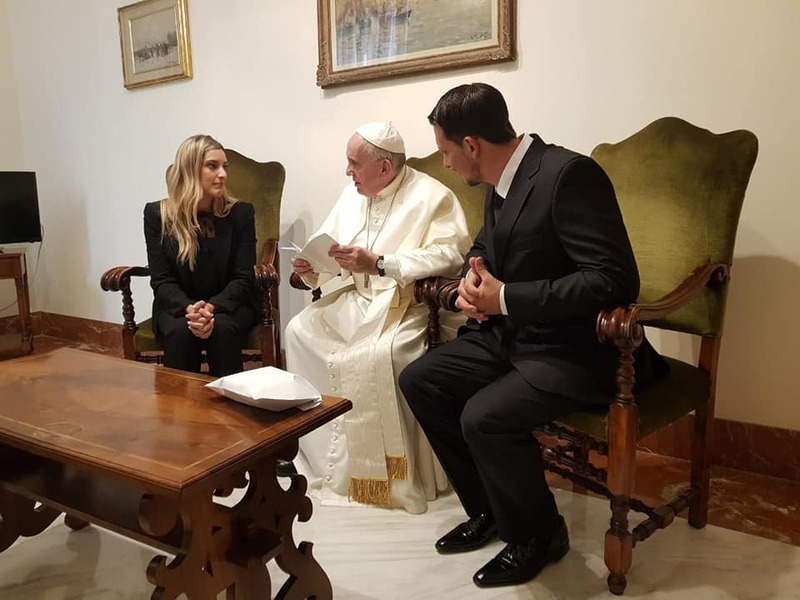 The highlight of their honeymoon was getting a blessing from Francis. 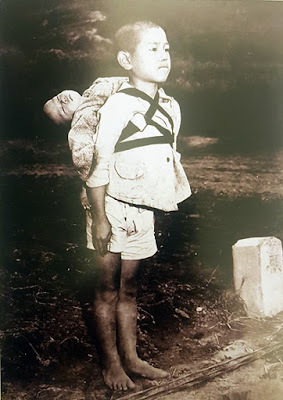 A boy waiting for his turn in the crematorium for his dead brother on his back. This photo was taken by the American photographer, Joseph Roger O’Donnell, after the atomic bombing of Nagasaki. The sadness of the child is expressed only in his bitten lips and blood oozing [from them]. 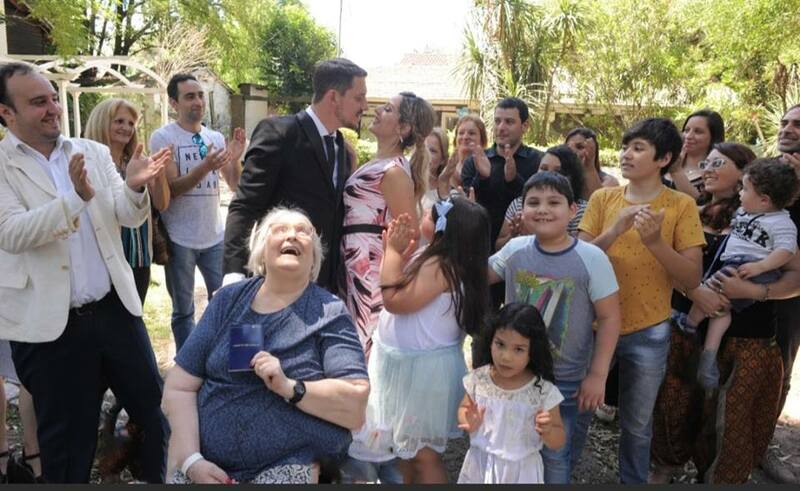 José Ignacio dreamed of having his ‘Uncle Jorge’ marrying him and his cohabitating girlfriend but it was not to be. We wonder if Francis explained to the couple how many cohabitations are true marriages but most church marriages are invalid? "Faith should not be mocked!" 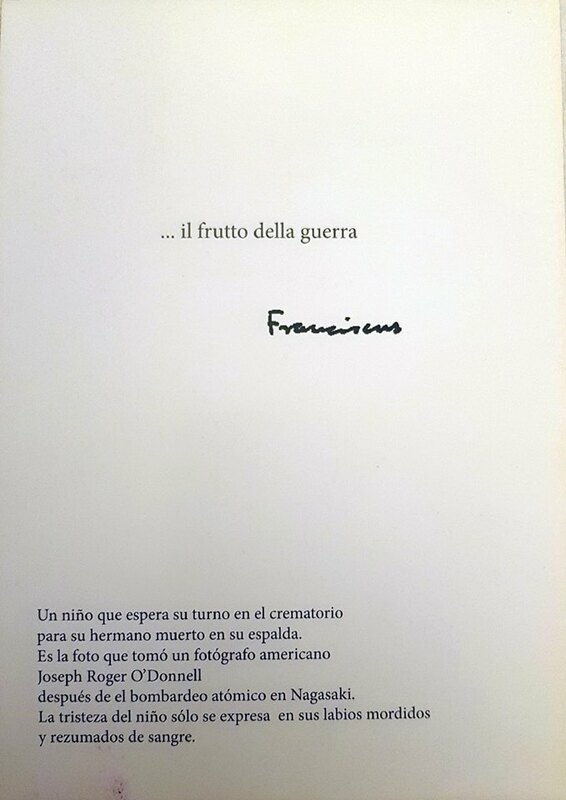 ...unless you are Francis!